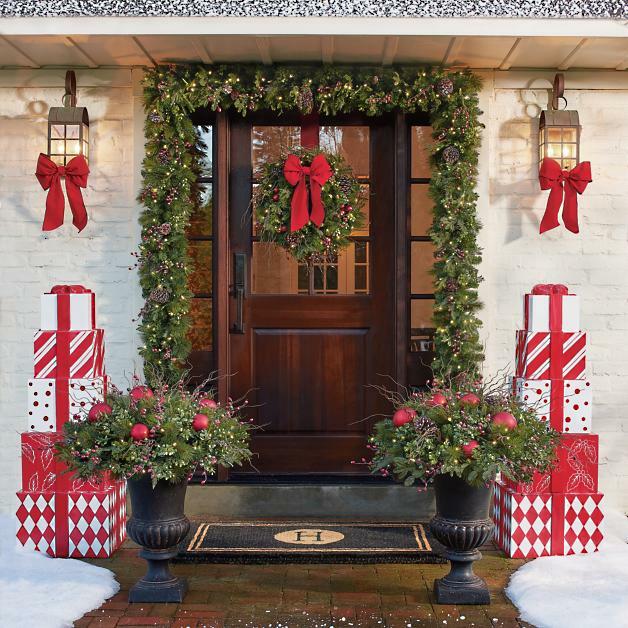 14 Best Outdoor Holiday Decorations: Build Your Own Winter Wonderland! Now that the holiday season is here, many folks will be busy doing their last-minute shopping, sending out dinner invites to long-distance relatives, and warming up their voices for caroling. And of course, it’s that time of the year again when we adorn our homes with sparkling Christmas lights and colorful decorations. And no, we’re not just talking about your halls! 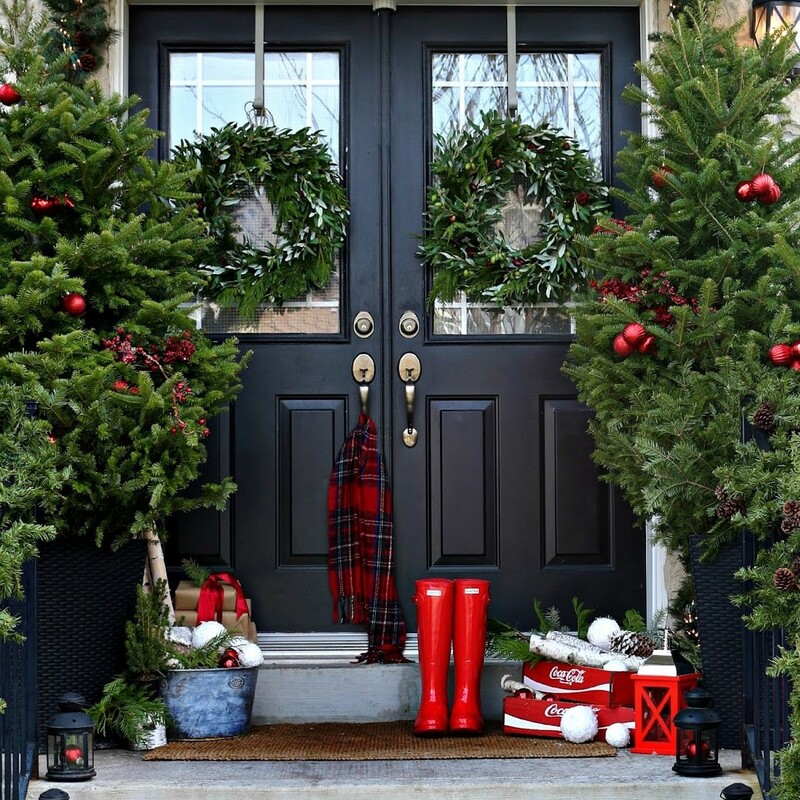 Beautifying our porches and yards is one of the many reasons why we’ve come to love the holidays. 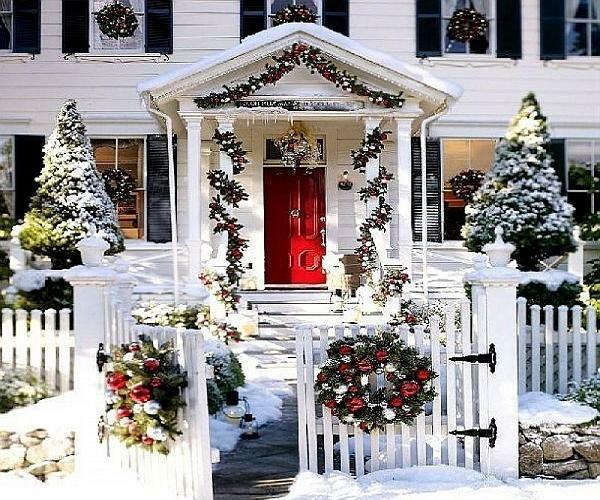 It’s always delightful to pass by a home decked with festive decor. It would even be more delightful if it’s your own place! If you’ve always wanted to turn your home into something out of a magical winter storybook, why not do it this year? We’d sure love to help you out! With the list of concepts that we’ve compiled below, you’ll definitely be inspired to build your own winter wonderland! Whenever we see blends of red and green, our mind automatically thinks one thing: Christmas. 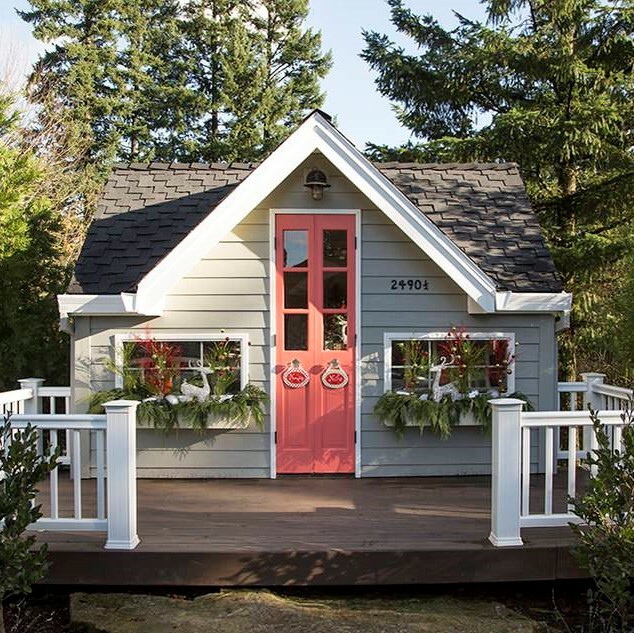 One glance at this house and you suddenly find yourself tempted to come in for a warm holiday meal. If sophistication is what you want, you might be looking at your inspiration right now. With all those glistening lights giving the exterior a truly aesthetic look, it appears you wouldn’t need an abundance of ornaments anymore. Is snow pretty much non-existent in your area? 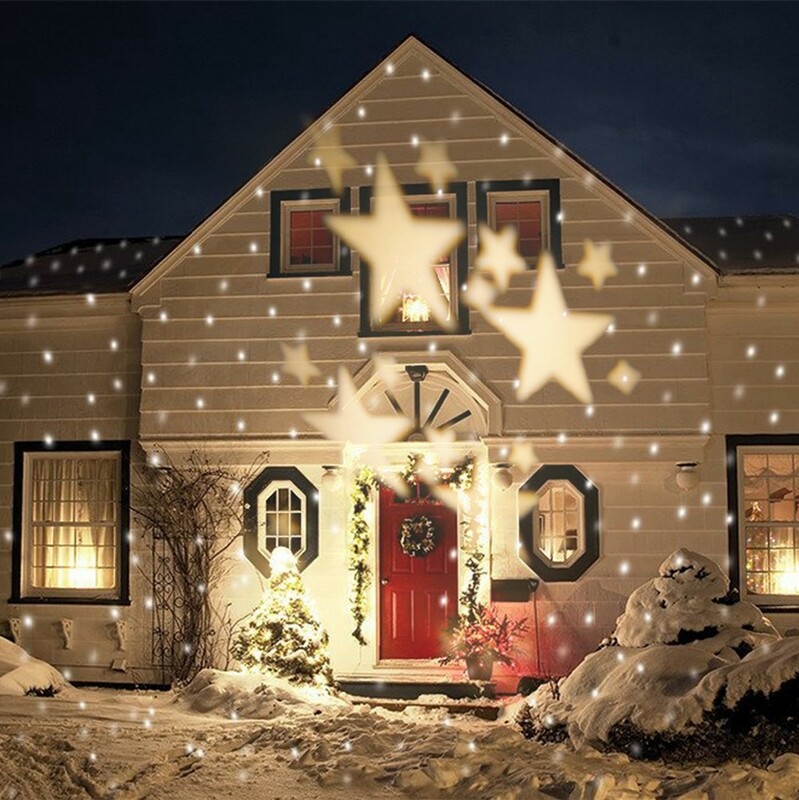 Bring the snowflakes into your home with these projecting lights! This is actually a perfect idea if you’re exhausted from putting up holiday lights, and it’s pretty unique, too! Want to try something non-traditional this year? This concept will help you do the trick. No need to go overboard with the embellishments anymore! Each of us may probably agree that vibrant lights are the way to catch the attention of just about anyone. 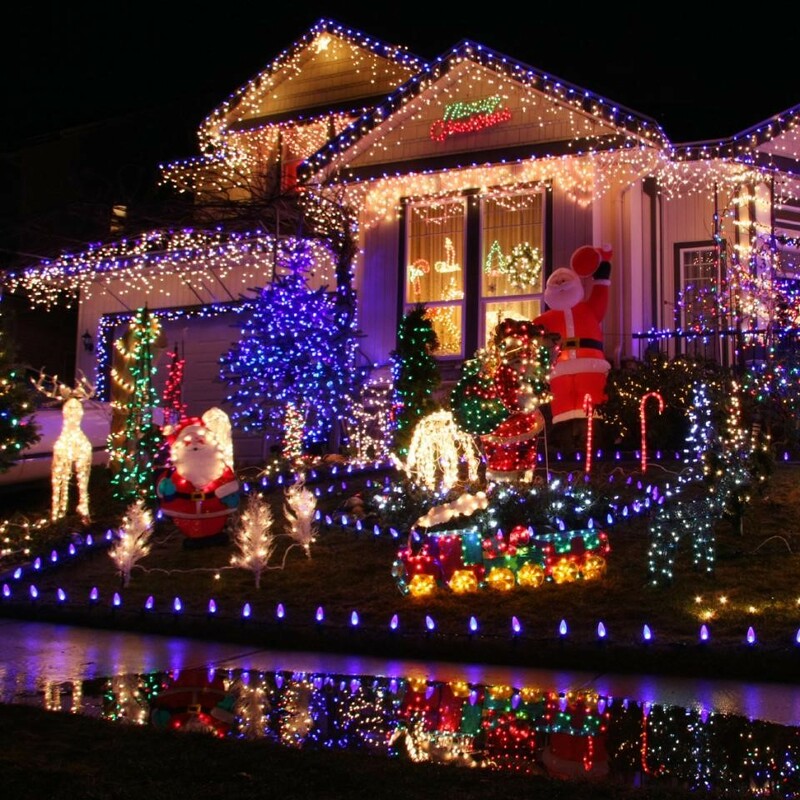 Complete with all things Christmas—from a reindeer, to a smiling snowman, to Santa’s head just popping out from the brightly lit bushes—this house is definitely a shoo-in for a holiday decoration contest. Don’t feel bad if your garden is covered in snow. You can always have another option for your evergreen plants by setting them up in your front porch. 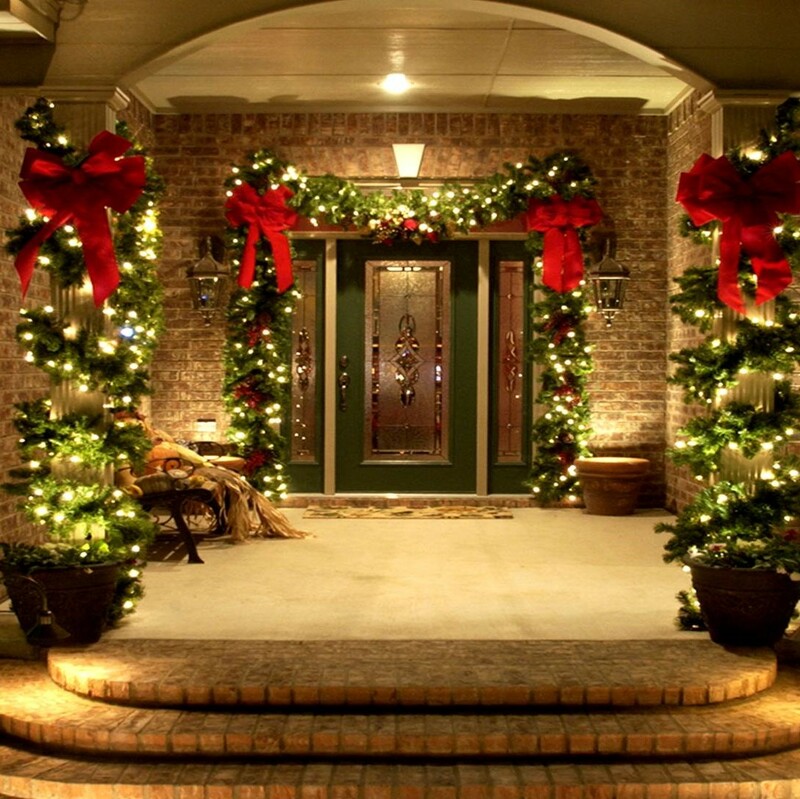 Don’t forget to wrap the shrubs with ornaments and lights to give your cozy nest a more Christmassy appearance. Why dream of a White Christmas when you can turn it into reality? 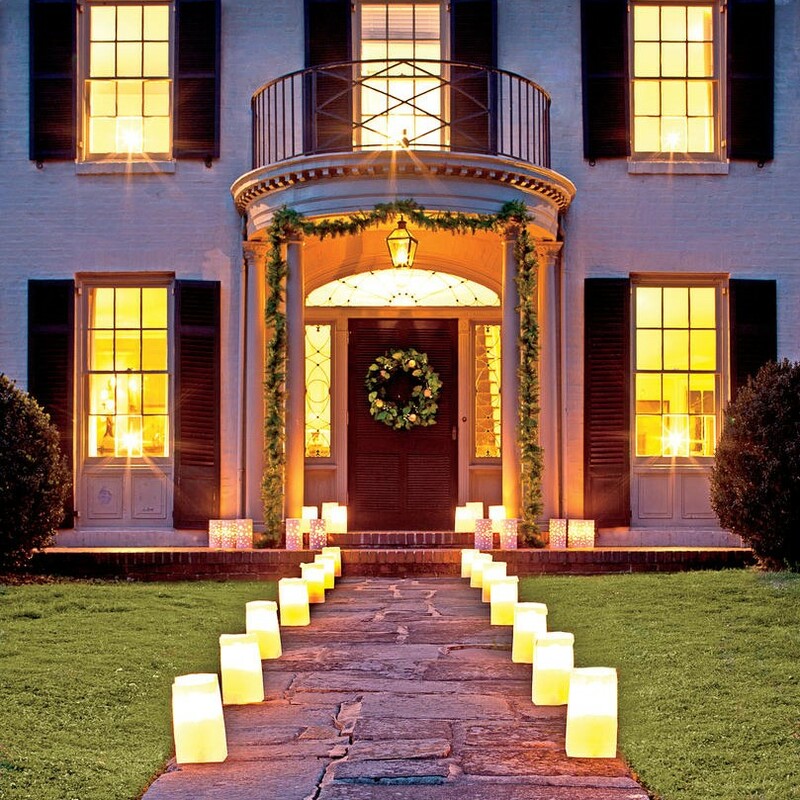 All you need to do is outline the exterior of your home with bright lights. Don’t forget to lighten up the trees, too! How about putting your presents outside for a change? Just don’t fool the neighborhood kids into thinking that the stacks of gift boxes actually contain a surprise for them! Live in a rustic farmhouse? Give it the holiday vibe it deserves with a setup like this! Make your Christmas nights extra special by hanging light ornaments on your tree. With all those lights in your backyard, you’ll be enjoying your evenings reading a good book or drinking your favorite wine with your spouse. Do you love plants as much as this homeowner does? 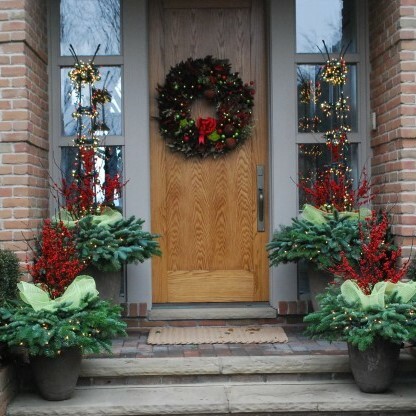 Go green this holiday by filling your porch with fresh garlands and wreaths. Not only are they pleasing to the eyes, but the interesting shapes of these trees are sure to attract lots of passersby in the neighborhood. 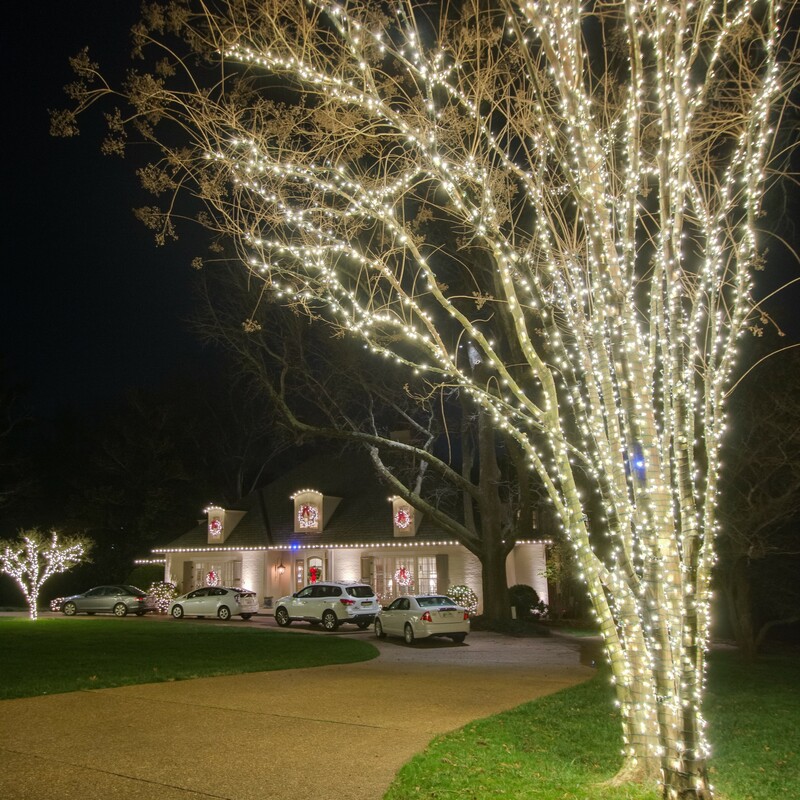 Lights aren’t really that necessary when putting up a striking outdoor holiday décor. This house proves that. 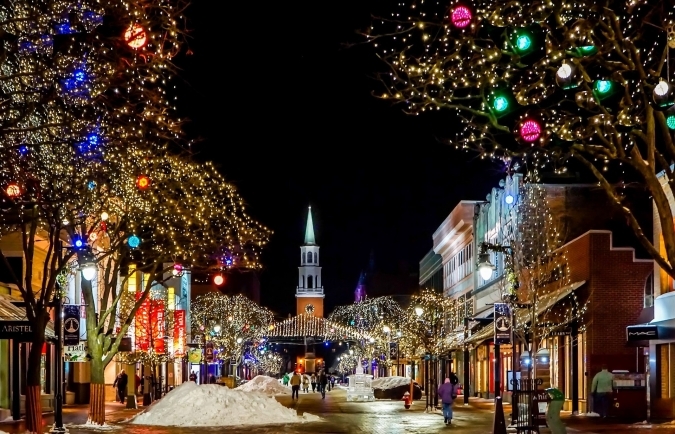 You don’t really need a lot of distractions to pull off a beautiful Christmas atmosphere. Besides, would it be enough already to have a Nutcracker guarding your door? If you like keeping things simple yet elegant at the same time, this might just be the inspiration you need. 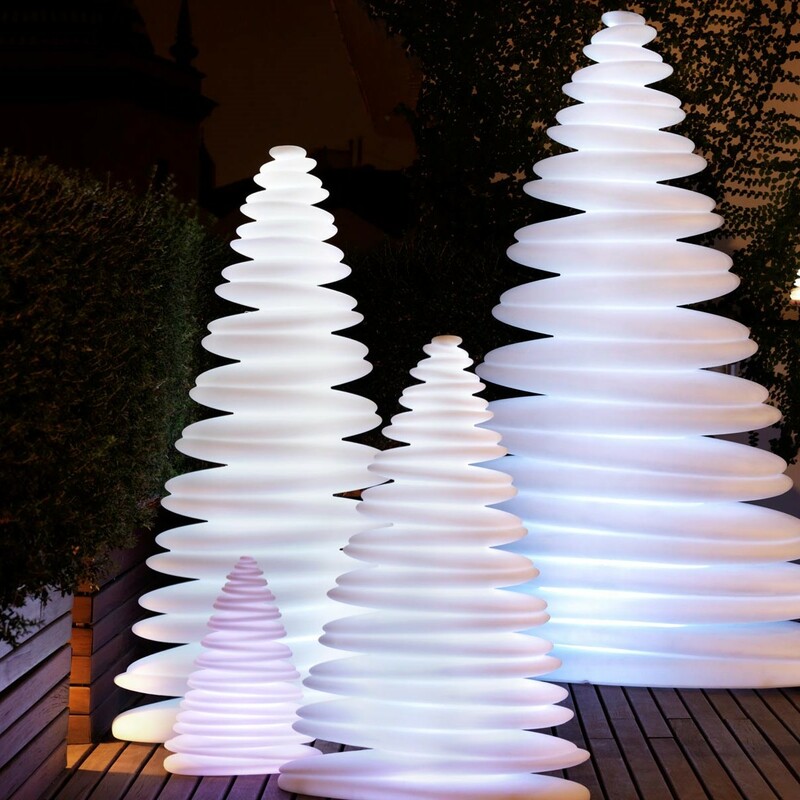 Though there’s not enough decoration that shouts Christmas, these lights guiding your way can totally make up for it. 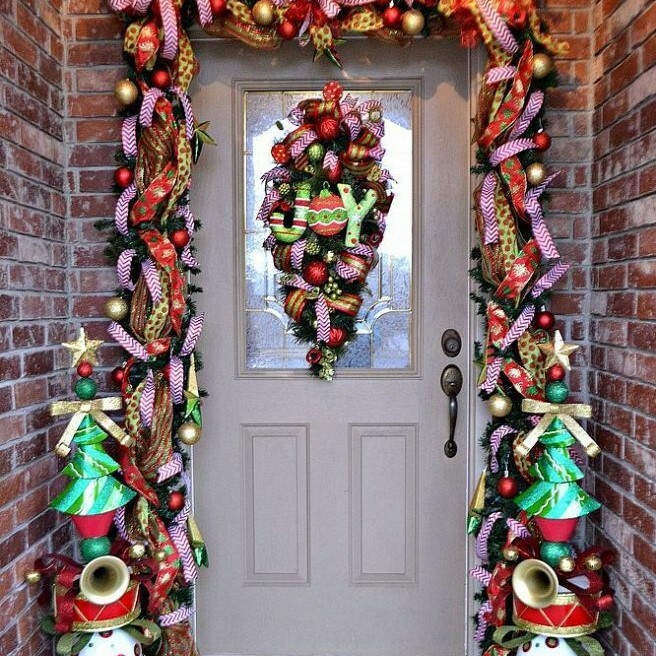 Just add a touch of welcoming wreath, and you’re good to go! Having reindeer in your doorway is always a good idea to welcome your guests. 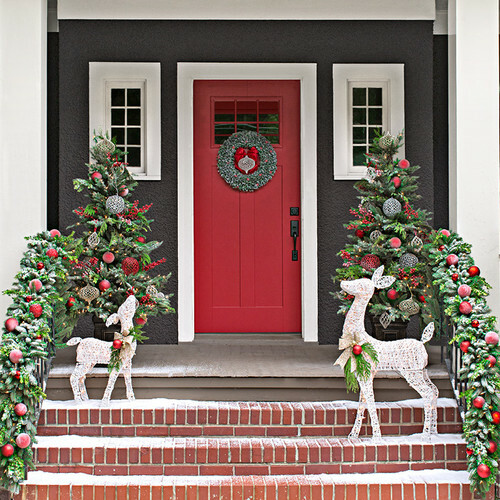 Make the reindeer look extra cute by pinning them with festive swags that match the stair rails. Celebrate the Holidays with a Generous Deed! Everyone knows that the holiday season is the best time to make others happy. You can do your part by donating an unwanted vehicle to us at Veteran Car Donations. By doing so, you’ll be one of the reasons behind the smiles in the faces of veterans in your community. Any vehicle you donate to us is capable of transforming the lives of our former military personnel. These are the men and women who once fought for us, made enormous sacrifices, and risked their lives to safeguard our freedoms and protect our security. Unfortunately, despite all that they have done in service to our nation, many of them were left to fend for themselves after getting discharged from the service. With little support, they live miserable lives suffering from service-connected disabilities, physical and mental health issues, lack of jobs, and homelessness due to extreme poverty. That’s why we are here: to give these heroes the decent and dignified lives they so rightfully deserve. You can easily help us with your vehicle donation. We will sell your donated vehicle via auction and use the proceeds to support our nonprofit partners in providing needy veterans with mortgage-free and specially adapted homes, free physical and mental health care services, job opportunities, education scholarships, and other benefits. In return for your charitable contribution, you will get a set of rewards including a 100% tax deductible receipt that will enable you to significantly lower your tax bill come the tax-filing season. 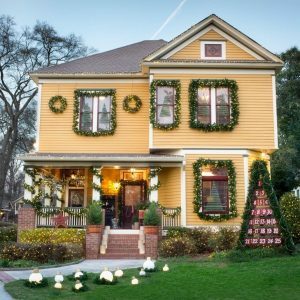 This holiday season, as you turn your home into a winter wonderland based from any of the 14 best outdoor holiday decorations we’ve shown here, remember our nation’s heroes. Give them something that will cheer them up in this season of giving. Call us at 877-594-5822 and get started with your car donation!